The Chroma 58266 is a LED Burn-in Tester that each channel can offer a constant current up to 500mA but also has 0~400V voltage measurement function. For product application, various programmable power supplies can be applied for multi-channel constant current output and voltage measurement. 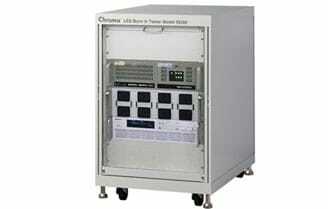 The user can integrate several power supplies based on the demands of channels and current for multichannel test.